We are excited to say that we are working on developing our first two apps which will focus on improving vocabulary. Not just nouns and adjectives, but also verbs. We've known for a long time that improving children's vocabulary can improve their reading comprehension, but did you know it can also improve written language? Think about it. When you write, how much time do you spend finding the right word or phrase so you don't overuse the same words? So many of our students spend excessive amounts of time trying to figure out how to convey their thoughts and knowledge using just the right words and combinations of words. Research has shown (Yonek, 2008) that when students are taught vocabulary using the "typical approach" it is not very effective. Typical vocabulary instruction has students defining words, using them in sentences, matching the word to the definition and (if students are lucky) stating antonyms and synonyms for the words. 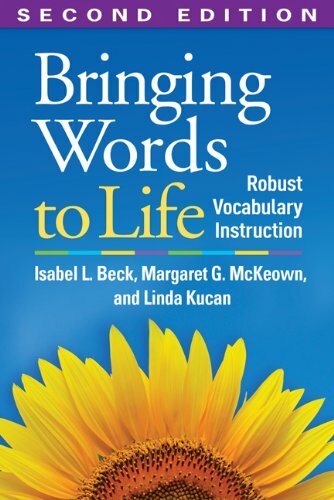 We know robust vocabulary instruction is much more effective (Beck, McKeown, and Kucan, 2013). 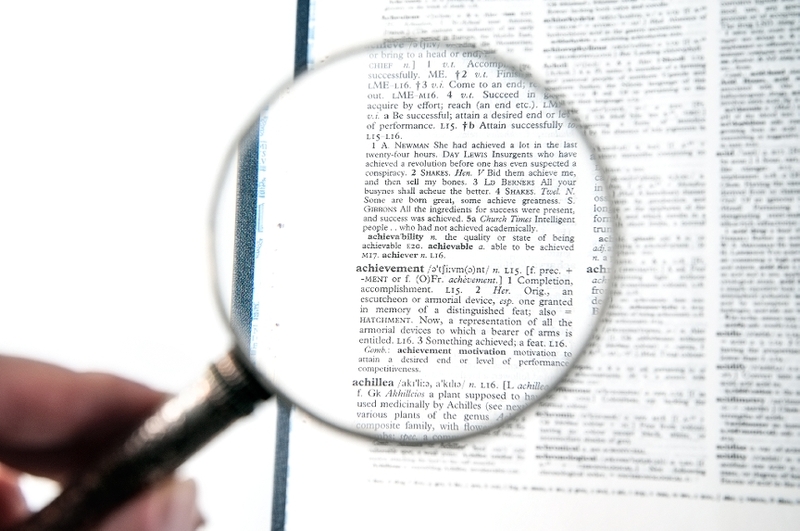 Robust vocabulary instruction involves teaching different contexts of the word, using child-friendly definitions and exposing students to the same words multiple times over a period of time. Students actively participate in activities that provide them opportunities to use, compare, contrast and experience words, including visual and multisensory activities. In other words, learning a word once/memorizing lists of words and definitions doesn't help students to "own" the words, whereas teaching words in a variety of contexts over a longer period of time does help vocabulary "stick." 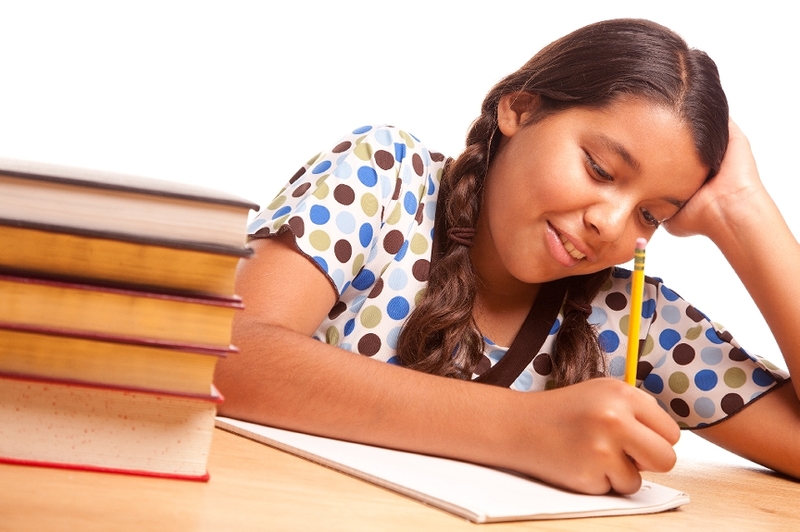 Not only did Beck, McKeown and Kucan identify improvements in students' receptive vocabulary knowledge when learned using these methods, they also discovered that students' writing had actually improved as well. After using the robust vocabulary method, students incorporated learned words in their daily writing because they had not simply stored the words in short-term memory to be spit out on a vocabulary test, they had absorbed the vocabulary terms AND they were able to use them expressively. What if there is no end of the world. But the end of the world is simply the end of human decency. It makes sense. When you subtly slip into unconsciousness in the dark of the night and only waken when the hands of the hour start to chime. And you crawl out of your warm comfort zone only to be splashed in the face by cold water that people call "life" and you can feel the bones under you skin under muscle trying so hard to pump you alone all day. When the sky seems as if it's Melting you just pull out your umbrella that you have named dreams that guards you from reality. When they are crowding around you like the stars in the universe and it seems like all hope is lost there comes a ray of sunshine that burns them and their opinions to the ground. And the warmth of their smiling face turns to dust as you awaken in the cold icy world that is your life. I mean that dream has to be real right? Or Maybe it's just God playing a trick on me saying that I will never get things right no matter how hard I try the bubble that I fill in is never the correct answer. No matter how many lessons after lesson of my own stupidity I have to sit through I never got the message. They never received the telegraph that I had sent SCREAMING for help. And my voice was swallowed by the people telling me that I couldn't do it no matter how hard I tried. I would always be defined by my ADHD and be forced to listen to person after person calling me lazy and unwilling. But they never got the message that I sent to Earth that I was lost on Jupiter with no way to get back. And you are saying that it's my fault? That I'm not trying hard enough to succeed in life? That no matter how many telegraphs and letters I send asking and screaming for help that it will never come? So this is what is outside of my comfort zone. A cold splash in the face with a bucket full of water that I brush off every morning until today. Today I put my foot down and demand that someone transmit all the letters that I have attempted to send. That you read them and wish that you could have done something to make me not humiliated to be called my name, and that my parents had the decency to tell me that I wasn't trying hard. They never had to grow up with ADHD and dyslexia. That they don't understand that no matter how many hours I spend working that the code would never fully crack and for my entire life I would be pulling with all of my power to open that vault door that felt like 100 million tons for me but 4 pounds to them. And you tell me I'm not trying hard enough? So Maybe the end of the world isn't when the sun explodes and rains fire and rock on us...Maybe the end of the world comes every day when adults help dig the divide for a child between failure and success.